Ticket prices for the latest 3d epic How To Train Your Dragon when up as much as 26%! Justin Bieber’s album, My World 2.0 is expected to top the Billboard charts this coming week to the tune of 225,000 – 250,000! Gossip blogger Perez Hiton announces he will be launching a weekly music countdown to rival Ryan Seacrest’s current version. The delayed Spider Man 4 will now be Spider Man (in 3D) and is scheduled for a July 2012 release. If you didn’t also know the last two installments of Harry Potter are scheduled to be shot in 3D as well. 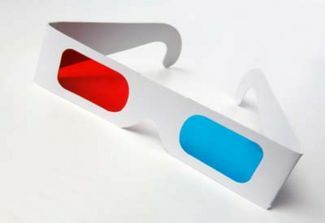 Hopefully they will come out with reusable 3D glasses that are more comfortable and fashionable. Dear John is the film that knocked of Avatar from the number 1 spot after 7 consecutive weeks! Lost In Space was the film that knocked off Titanic after a 15 week run. Who would have thought a romantic comedy and not a blockbuster would end Avatar’s run? The rights to the Terminator franchise was sold to Pacificor for $29.5m after a battle between Lionsgate and Sony Pictures. Pacificor? Howard Stern is asking for $100m to take over the spot of Simon Cowell on next season’s American Idol. Here’s to hoping Idol doesn’t accept it. Even Ellen doesn’t approve. Tom Cruise has signed on to Mission Impossible 4. Really? Sade’s comeback album, Soldier of Love is expected to become number 1 on the Billboard charts next week predicted to sell 375,000 – 400,000 copies. Her last set, “Lover’s rock” debuted at number 3 in 2000. MTV finally dropped the “Music Television” from its logo. Make’s sense considering they replaced music with Jersey Shore and Teen Mom!! Prior to the delay of his prison time, Lil Wayne shot 9 music videos in one week to hold over his fan’s during his year in prison. By the way, his prison sentences was delayed because of his teeth?!? 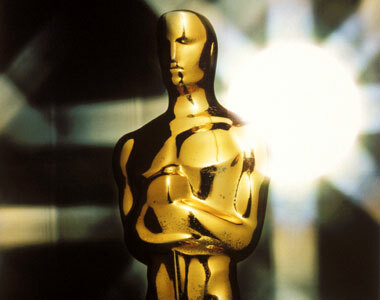 Note: Due to Academy Award nominations, Precious, Up In the Air, Crazy Heart and An Education are expanding theaters. Update: As of 4pm today (Feb 3) Dear John becomes the first film to lead Avatar on Fandango.com 41% to 34%, however Avatar still lead on movietickets.com 46% to 25%. This gives Avatar a slight edge, although the exact numbers are unclear. Dear John is destined for a huge opening on Friday, however Avatar most likely will take Saturday. Sunday numbers will be low for both films because of Superbowl so it’ll be a close race. Are we looking at another Sherlock Holmes/Book of Eli ending or will this be the film to take down Avatar?